Moscow increased its April 2016 grain production forecast by 7 million metric tons (MMT) to 107.7 MMT. For major crops FAS/Moscow forecasts: 65 MMT of wheat, 17.5 MMT of barley, 13.5 MMT of corn, 2.5 MMT of rye, 4.5 MMT of oats, 0.72 MMT of milled rice, or 1.1 MMT in rough weight, and almost 3.6 MMT of other grains and pulses. FAS/Moscow forecasts grain exports in MY 2016/17 at 33.2 MMT, 4 percent lower than the record 34.5 MMT's exported in MY 2015/16, but the second highest exports in Russian history. The export forecast includes 24.5 MMT of wheat, 3.8 MMT of barley, 4.1 MMT of corn, and approximately 0.7 MMT of other grains and pulses. As of June 2014, Russian official statistics (ROSSTAT) began incorporating Crimean production and trade data into their official estimates. FAS/Moscow increased its April 2016 grain production forecast by 7 MMT to 107.7 MMT. This is a four percent increase from the 2015 crop, and nearly meets Russia's record grain crop of 108.2 MMT in 2008. The increased forecast is based on: area planted with winter grain this year is higher than last year; the winter grains are in very good condition, especially wheat; and so far the weather conditions have been favorable for the winter grains harvest. By major crops FAS/Moscow forecasts: 65 MMT of wheat (the same as USDA's official forecast), 17.5 MMT of barley (the forecast is 0.5 MMT lower than the USDA official forecast), 13.5 MMT of corn (also 0.5 MMT lower than the official USDA forecast), 2.5 MMT of rye and 4.5 MMT of oats (both forecasts match USDA official forecast), 0.72 MMT of milled rice, or 1.1 MMT in rough weight (almost the same as USDA official forecast), and almost 3.6 MMT of other grains and pulses. Weather conditions for harvesting winter grains and for sowing of late spring grain crops were favorable in Central European Russia and in the Volga Valley. Harvest began at least one week earlier than last year. With the increased area and the good condition of winter crops, especially winter wheat, the winter crop production may be larger than last year. The wheat harvested area will be 26 million hectares, barley harvested area will be 8.1 million hectares, and corn harvested area will be 2.9 million hectares, the total grain harvested area in Russia will be approximately 46.7 million hectares (0.1 percent more than in 2015), including 26.68 million hectares under wheat (winter and spring), 8.67 million hectares of barley, 3.03 million hectares of corn and 8.32 million hectares of other grains and pulses. Grain exports in MY 2016/17 at 33.2 MMT, 4 percent lower than the record 34.5 MMTs exported in MY 2015/16, but the second highest export total in Russian history. The export forecast includes 24.5 MMT of wheat, 3.8 MMT of barley, 4.1 MMT of corn, and approximately 0.7 MMT of other grains and pulses. Wheat comprises the major portion of grain exports. These forecasts by crops are slightly lower than the official USDA forecast. Despite the expected bumper crop, Russian grain, especially wheat, may become less competitive in world markets for several reasons: decreasing world wheat prices vs stabilization of ruble exchange rate, regulatory policies of the Russian government, such as the “floating" export duty on wheat, and permanent phytosanitary checks of all segments of the domestic grain chain. These factors may influence wheat trade and the volume of wheat exports, as well as other grains. Assuming grain exports at 33.2 MMT, FAS/Moscow forecasts feed consumption of grain at almost 38 MMT, nearly a 2 MMT increase from the MY 2015/16, and food, seed and industrial consumption of grain at 35 MMT, the same as last year. The increase in feed grain consumption is based on several assumptions: the development of the Russian poultry and livestock sectors will continue, and demand for feeds will be strong; domestic grain prices will decrease; and sources of protein in feed rations (especially soybean meal) will be less available or will be very expensive. Thus, some poultry and livestock producers may increase the ratio of grain in feeding rations, even at the expense of feeding efficiency. According to FAS/Moscow forecasts Russia's, total grain production at 107.7 MMT, including 65 MMT of wheat, 17.5 MMT of barley (0.5 MMT lower than the USDA official forecast), 13.5 MMT of corn (0.5 MMT lower than the official USDA forecast), 2.5 MMT of rye and 4.5 MMT of oats, 0.72 MMT of milled rice, or 1.1 MMT in rough, and almost 3.6 MMT of other grains and pulses. Grain production remains at 106 MMT, with the potential to reach 110 MMT. Industry analysts' forecasts vary from 108 MMT to 111 MMT. The wheat harvested area will be 26 million hectares, the barley harvested area will be 8.1 million hectares, and the corn harvested area will be 2.9 million hectares. The Russian Ministry of Agriculture estimates the total planned harvest area for grains (winter and spring) and pulses at 46.8 million hectares. This area includes 27.3 million hectares of wheat, 8.23 million hectares of barley, and 11.25 million hectares of other grains and pulses. Industry analysts estimate the total grain harvested area in Russia will be approximately 46.7 million hectares (0.1 percent more than in 2015), including 26.68 million hectares under wheat (winter and spring), 8.67 million hectares of barley, 3.03 million hectares of corn and 8.32 million hectares of other grains and pulses. 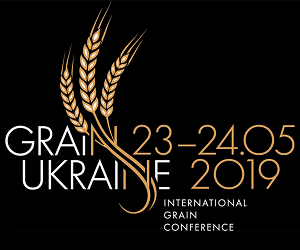 Industry analysts estimate the total harvested grain area at 46.7 million hectares (with Crimea), including 26.7 million hectares of wheat (winter and spring), almost 8.7 million hectares of barley, and 11.35 million hectares of other grains and pulses. By the end of June, Russia completed sowing spring grains. The Ministry of Agriculture's last report on spring grain sowing, by provinces and by major crops, was released on June 21, 2015. Spring grains were sown on 30.08 million hectares, while in 2015. 31.0 million hectares were sown to spring grains. The Siberia and the Volga Valley federal districts are two major spring grain producing areas, and most of this area was sown to spring wheat. The spring grain area, according to the Ministry of Agriculture's data, decreased slightly in the major crop producing districts of the Russian Federation: South, Volga Valley and Siberia federal districts. In Siberia data may be corrected, because sowing in that region may continue till the end of June. As for the South and the Volga Valley federal districts, some decrease in spring grain area may be caused by tight competition for land with oilseeds and other crops. The total area sown to spring wheat in Russia increased by 1.9 percent to 13.64 million hectares, the area sown to corn for grain increased by 3 percent to 2.81 million hectares, while the area sown to spring barley and other grains decreased by 5.9 percent to 7.76 million hectares and by 0.5 percent to 6.62 million hectares, respectively. Economic factors for spring sowing and for treatment of winter crops were better in 2016 than a year ago. Farmers have larger stocks of fertilizer and received more commercial loans with subsidized interest rates than a year ago. According to the Ministry of Agriculture, from January 1 through July 11, 2016 agricultural producers purchased 1.7 MMT of mineral fertilizer (active ingredient), which is 145,300 MT (9 percent) more than in the same period in 2015, despite increased prices for those inputs. The accumulated stocks of mineral fertilizer (including carry-over from CY 2015) are 2 MMT, 173,000 MT more than on July 11, 2015. However, these stocks are 0.6 MMT less than the estimated “need" of farmers for 2016 seasonal field works. As of July 11, 2016, the average price of ammonia nitrate was 14,899 rubles per 1MT (+2 percent y-o-y), the price of carbamide was19,202 rubles per 1MT (+0.1 y-o-y), the price of potassium chloride was 15,393 rubles per 1 MT (+25 percent), the price of azophosks (nitrogen-phosphorus-potassium fertilizer) was 22,908 rubles per 1 MT (+11 percent), and the price of ammophos (ammonium-phosphate fertilizer) was 31,010 rubles (+29 percent y-o-y). The Ministry of Agriculture monitors loans issued to farmers by state owned banks. These loans usually get interest rate subsidies from the federal budget. According to the Ministry of Agriculture, the portfolio of commercial short-term loans for financing 2016 seasonal field works reached 158.11 billion rubles by July 14, 2016. This is 22.2 percent more than on the same date last year. These loans include 103.31 billion ruble loans from “Rosselkhozbank" (25.4 percent more than last year), and 54.8 billion ruble loans issued by “Sberbank" (16.7 percent more than last year). The harvest in Russia started in the middle of June, almost a week earlier than last year. By July 20, 2016, Russian farmers harvested 30.24 MMT of grain, including 24.45 MMT of wheat and 2.86 MMT of barley. On the same data in 2015, the harvest totaled only 22.62 MMT of grain, including 17.99 MMT of wheat and 2.27 MT of barley. The grain harvested area exceeds the area harvested on the same date in 2015. And, in spite of the fast progress of harvesting, yields this year are higher than the yields last year, particularly wheat yields. In the Southern federal district, farmers harvested 50 percent of the grain area planned for harvest, and in the North Caucasus federal district, farmers harvested 59 percent of the grain area. The harvest in the Central and Volga Valley federal districts started with only 8.3 and 6.1 percent of the grain area harvested by July 20, 2016, respectively. The Ural, Siberia and the Far East of Russia are still two to three weeks from starting their grain harvest. 24.5 MMT of wheat (including flour in grain equivalent), which is 0.5 MMT lower than wheat exports in MY 2015/16, but still the second highest wheat exports in Russian history. This forecast is 0.5 MMT lower than official USDA forecast. Despite an expected bumper wheat crop, Russian wheat may be less competitive in the world markets: world wheat prices are decreasing, the Russian ruble has stabilized, regulatory policies of the Russian government, such as the “floating" export duty on wheat, and permanent phytosanitary checks of all segments of the domestic grain chain, may seriously influence wheat trade. Meanwhile, the FAS/Moscow forecast is based on the assumption that there will be no drastic changes in government policies or in the ruble exchange rate. 0.8 MMT of other grains and pulses. Saudi Arabia with 2.37 MMT of grain, all barley, and Iran with 2.19 MMT of grain, including 1.49 MMT of wheat, 0.48 MMT of barley, and 0.21 MMT of corn. The other important markets for Russian grain exports, with over 1 MMT of exported grain, are Azerbaijan, Bangladesh, Nigeria, Korea, and South Africa. The major importers of Russian pulses (peas, chick peas, beans, other legumes) were Turkey (524,580 MT), and India (104,714 MT). The Ministry of Agriculture forecast grain exports in MY 2016/17 at 32.8 MMT. Industry analysts forecast Russia's grain exports in MY 2016/17 at 34 to 36 MMT, including exports of wheat from 26 to over 27 MMT. According to the Ministry of Agriculture, in the course of the first two weeks of MY 2016/17 (from July 1 through July 13, 2016), Russia exported 583,800 MT of grain. This is 34.5 percent more than in the same period last year (434,000 MT). This includes 383,500 MT of wheat, 182,200 MT of barley, 10,900 MT of corn, and 7,200 MT of other grains. According to the Russian State Statistical Servic, as of July 1, 2016 (considered the beginning of grain marketing year), stocks of grain in the agricultural enterprises and grain assembling and processing enterprises were 13.27 MMT, 7 percent more than on the same date last year (12.3 MMT). These stocks are also 18 percent higher than the stocks at the beginning of marketing years 2013/14 and 2 percent higher than the stocks at the beginning of MY 2014/15, but 22 percent lower than the stocks at the beginning of MYs 2012/13 and 2011/12, and 41 percent lower than the stocks on July 1, 2010, when after the export ban carry-over of Russian grain stocks were 22.2 MMT. Grain stocks in southern European Russia, the main grain exporting region, are higher than last year by 48 percent due to the early beginning of harvest. This year the grain stocks in southern European Russia (on July 1, 2016) included some grain from the new crop. However, last year less grain of the new crop was included in carry-over stocks. Thus, in the course of one month (from June 1, 2016 to July 1, 2016), the grain stocks in southern European Russia increased from 2.7 MMT to almost 4.7 MMT. Grain stocks in the southern European Russia, the main exporting region, on July 1, 2016 were the highest in the last 3 years, the years of high grain exports, and this high level of stocks, along with prospects of good crop, are a good basis for continued exports of grain from Russia. By the beginning of the new marketing year the Russian government did not make any significant changes in its grain policy. The floating export duty on wheat is still in force despite strong lobbying by the grain producers and grain traders. This export duty on wheat is 50 percent of customs value, minus 6,500 rubles, but not less than 10 rubles per 1 MT. Stabilization of the ruble exchange rate at approximately 63-64 rubles per $1, and a decrease of FOB prices on wheat to $175-180 per 1 MT keep this export duty at the lowest level. Grain procurement interventions for the 2015 crop were discontinued on April 2016. According to the Ministry of Agriculture, as of July 15, 2016, the total volume of grain in the Federal Intervention Fund was 3,268,200 MT, and the value of this grain was 28,899.5 million rubles. The Minister of Agriculture reported in mid-June 2016 of plans to purchase up to 2 million metric tons of grain to the Intervention Fund in the marketing year 2016/17. On July 19, 2016 the Ministry of Agriculture published the Order on the target prices for procurement interventions for the 2016 grain crop 2016. The draft of this order was ready in the end of March 2016, and was registered with the Russian Ministry of Justice on April 20, 2016. However, it was not released to the public until July 19, 2016. For all of Russia the prices were set as following: soft milling wheat Class 3 – 10,900 Rubles per 1 MT, for soft milling wheat Class 4 – 10,400 rubles per 1 MT, for soft wheat Class 5 – 8,800 rubles per 1 MT, for rye of not worse than Class 3 – 7,400 rubles per 1 MT, for barley – 8,000 rubles per 1 MT, and for corn Class 3 – 7,900 rubles per 1 MT. Prior to the release of the Order, the Russian Agricultural Minister reported that grain procurement intervention, which start when market prices fall below the target, will be held selectively. Industry analysts consider that the selected regions will be West Siberia and Ural FDs. The current market price for wheat in these regions is close to the announced intervention prices: approximately 10,900 rubles for wheat Class 3, and 10,300 rubles for wheat Class 4. The prices for such wheat in European Russia vary from 9,750 to 10,300 rubles per 1 MT for wheat Class 3 and from 8,800 to 9,870 rubles per 1 MT for wheat Class 4 with a decreasing trend. Market prices for rye, barley and corn are higher than the target procurement prices all over Russia. In MY 2015/16, the Ministry of Agriculture and the Federal Service for Veterinary and Phytosanitary Surveillance (VPSS), subordinated to the Ministry of Agriculture, increased activities targeted toward the development of new foreign markets for Russian grain. This target was set as a priority for Russian grain policy. 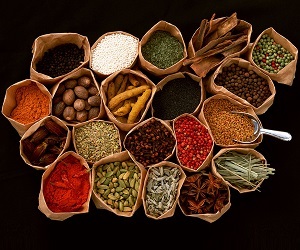 VPSS increased their negotiation activities, particularly with regard to quarantine, phytosanitary and grain quality requirements of countries importing Russian grain, such as China and Iran. In addition VPSS strengthened controls over storing and handling of grain in transit from producer to consumer, including exports. However, the results of these activities are not yet clear. Grain exports to China are still low, in MY 2015/16 Russia exported only small amounts of corn (less than 50,000 MT total) to China. Prospects of exports of wheat from Siberia to China are hampered by the high cost of logistics, more than high Chinese quality and phytosanitary requirements. Exports of Russian grain to Iran are relatively high, but decreased in MY 2015/16 compared with exports in MY 2014/15. For example, wheat exports decreased from 1.7 MMT in MY 2014/15 to 1.5 MMT in MY 2015/16, barley exports decreased from 0.8 MMT to 0.5 MMT, and corn exports decreased from 0.25 MMT to 0.2 MMT. Russian grain exports is based on the marketing activities of traders and the relatively low prices of Russian grain compared with the quality/price characteristics of competitors in the world grain markets. Moreover, some traders complain that VPSS's excessive control over storing and handling of grain add to the traders' expenses, making the cost of exported grain even less competitive. In MY 2015/16, market prices were very close to MY 2014/15. Market prices in rubles for domestic grains reached a peak in January-February 2016, and have since been decreasing. At the same time, the ruble decreased compared to the U.S. dollar, and the gap between the ruble price of grain and the dollar price of grain widened, stimulating exports of Russian grain.